With the 2018 EliteBooks, HP has put a focus on premium-features such as a Unibody-design and higher-quality displays – which of course also raises the costs. To bridge the gap compared with its older EliteBooks, HP has released a refresh of its older EliteBook 840 G4, which brings the newest CPUs to the older design. The fifth generation of the EliteBook 800 series is more than a simple CPU update. With the models EliteBook 830 G5, EliteBook 840 G5 and EliteBook 850 G5, HP has released the biggest redesign of this series since its creation four yeas ago. The EliteBook 800 G5 generation puts a bigger emphasis on premium-features and trends that originated from the consumer market, examples for such changes include the introduction of Clickpads instead of Touchpads with dedicated buttons, smaller display-bezels, dropping HDD & TN display options and new a Unibody-Aluminum design. The display-change especially is a huge deal, as most older EliteBooks came with disappointing TN screens – while the newest generation is now exclusively equipped with IPS LCDs. Such changes of course affect the manufacturing costs and necessitate higher prices. This can be a huge problem in the low-margin business that is the PC-market, especially in the business-segment, as companies that buy thousands of PCs tend to be very cost-sensitive. After all, every Dollar more raises the price by 10.000 Dollar if you buy 10.000 laptops. HP just raising the prices of the EliteBook line could be an opportunity for Dell with the Latitude line and Lenovo with the ThinkPads series to take away customers from their rival. This is likely the reason why HP introduced another new EliteBook 800 model. Although new should probably be in quotation marks, as the EliteBook 840r G4 is just a refresh of the older EliteBook 840 G4. 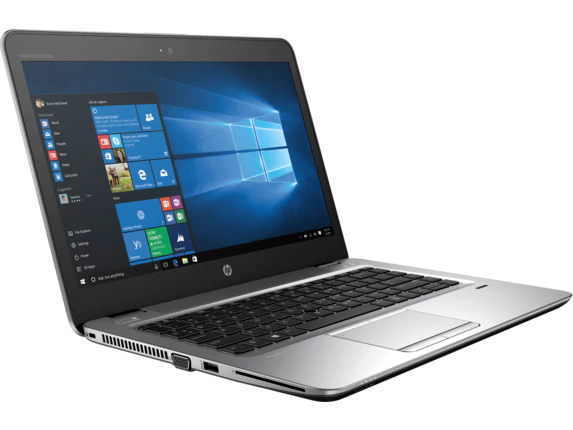 HP reuses the same chassis, but it offers the newest Intel Kaby-Lake-Refresh CPUs with four-cores like the Intel Core i5-8250U. Importantly, the EliteBook 840r G4 still offers a HD (1,366 x 768) TN-panel as the base-option – an option that many businesses still choose when it comes to bulk-purchasing laptops, to keep costs down. Even the more expensive display-option, a Full-HD (1,920 x 1,080) IPS-screen, isn't exactly high-end with a brightness of 220 cd/m². Despite this, the EliteBook 840r G4 could still be an interesting choice for some users, as it retains some legacy features that the EliteBook 840 G5 already dropped. This includes a VGA-port, a full-size SD-card-reader, a HDD option and dedicated touchpad buttons. The HP EliteBook 840r G4 was released without any big announcement and is already available in the USA.